Fred Van Hove was born 1937 in Antwerp, Belgium. 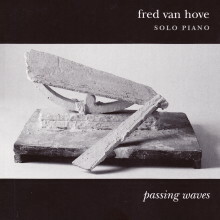 Van Hove studied piano, theory and harmony at the Music Academy in Belgium and experimented with several jazz styles and dance music before making the transition to free improvisation with local musicians. In 1966, Van Hove began his collaboration with Peter Brötzmann, initially in quartet or larger groupings, then stabilizing into a trio format with Han Bennink. In 1972, Van Hove founded the musicians’ collective Werkgroep Improviserende Musici (WIM), whose aim was to improve the situation of free music in Belgium. Van Hove has been Chairman of WIM ever since. 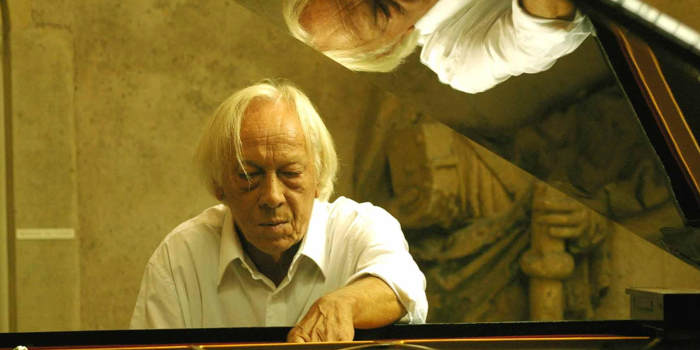 Van Hove’s first solo concert was played at the Avant-Garde Festival Gravensteen, Ghent, in 1970. Van Hove has also performed regularly with duo partners who have included Steve Lacy, Vinko Globokar, Lol Coxhill, Albert Mangelsdorf, Annick Nozati, Phil Wachsmann, Andre Goodbeek, and Paul Van Gyseghem. 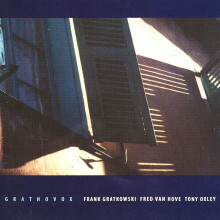 Between 1988 and 1998, Van Hove’s trio with the late French singer Annick Nozati and German trombonist Johannes Bauer recorded and toured. Van Hove has also cooperated with other musicians, including Luc Houtkamp, Connie Bauer, and Wolfgang Fuchs. Van Hove has also held seminars and workshops on improvisation throughout Europe. In June 1996, the Belgium government gave Fred Van Hove the title of Cultural Ambassador of Flanders 1996, an award that also includes a grant for touring outside of Belgium.